If you had taken the Publish option after successfully building your SOAP Server solution, Step 7A and 7B would not be necessary, they would have been carried out automatically. The manual steps have been included below, so that you are aware of what needs to be published and how it is achieved. So that you can see your project's files, expand the Solutions folder, then expand the EmployeeServer folder. a. 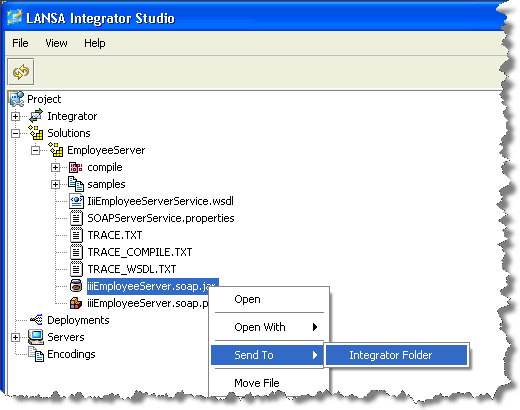 Highlight and right click the SOAPServerService.properties file to open the context menu. b. 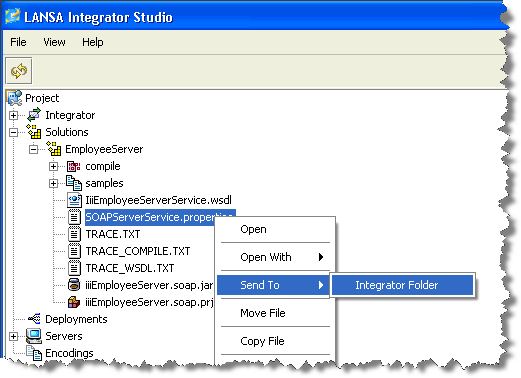 Select Send To and then IntegratorFolder from the context menu. a. Highlight the iiiEmployeeServer.SOAP.jar file to open the context menu. 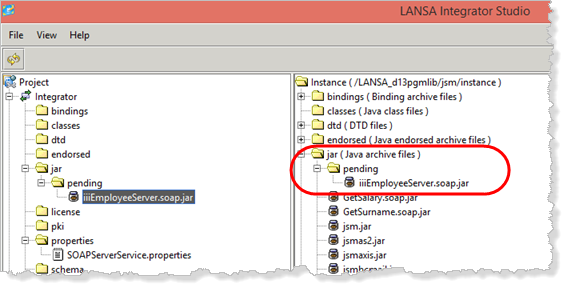 You will now see the jar files in the jar / pending folder of the JSM server. 7. 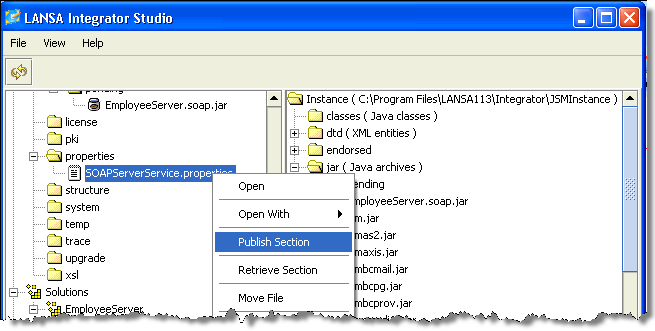 Publish a section in the service's properties file on the JSM server. a. 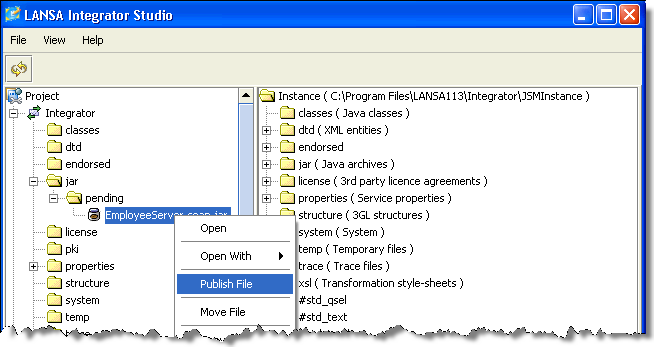 Highlight the properties file in the properties folder of the Project pane. 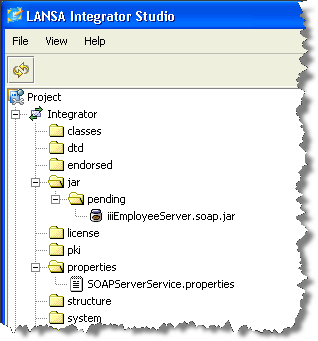 Your properties file is used to add a section to the SOAPServerService properties file on the server. 8. 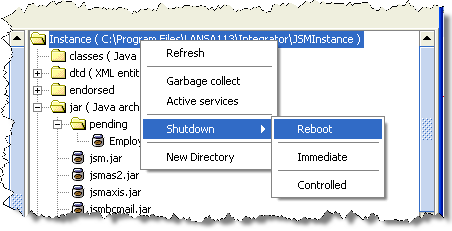 You must re-start the JSM Server to move the jar file out of the pending folder. 9. When the reboot has been completed, press F5 to refresh the screen. 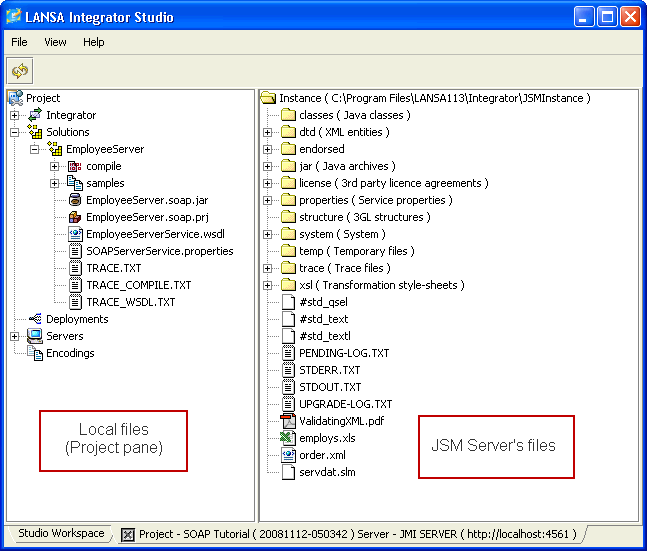 You will see that the jar files are no longer in the jar / pending folder of the JSM server pane.